New ‘black box’ technology that makes it more difficult for truckies to drive for too long or at high speeds are amongst the measures contained in the federal government’s $70 million plan to tackle the ongoing loss of life on Australian roads. Upon becoming Infrastructure and Transport Minister, Anthony Albanese says he was shocked to learn that the National Road Safety Strategy target of a 40 per cent reduction in road deaths by 2010 was unlikely to be achieved. "This is simply not good enough and should be a call to action for all governments, industry as well as the broader community." Minister Albanese announced a program that "demonstrates my determination to work with the states and territories as well as industry to substantially cut the number of speed and fatigue related road fatalities." Significantly, about one in five road deaths involve heavy vehicles, with speed a factor in around 30 per cent of these crashes and driver fatigue in up to 60 per cent. Action to improve speed and fatigue enforcement is the key to achieving a substantial reduction in road deaths, he said. 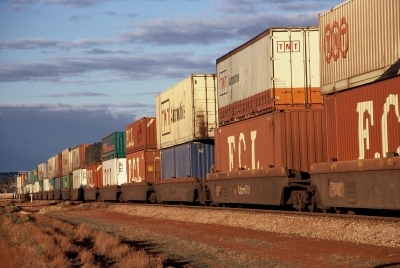 – Upgrades to freight routes so they can carry bigger loads. "It is our intention to directly involve the trucking industry in the process of putting the available funds to the best possible use", the minister said. "At the same time we will work with the states and territories to investigate the introduction of mandatory, periodic health checks for heavy vehicle drivers as well as undertake further work on new national standards for random drug and alcohol testing. "At present, the small minority of truck drivers who don’t follow the rules threaten the safety of all road users – including themselves – and leave responsible truck drivers at a competitive disadvantage. "As well as improving road safety, our Plan will help lift national productivity by funding upgrades to the road network such as the strengthening of bridges. "This targeted investment in the road network will open more roads to heavy vehicles, freeing up the movement of freight across the country and easing congestion," the minister said. The sting in the tale is an increase in registration charges for 69 per cent of heavy vehicles, and a rise in the diesel excise. "This much greater investment in road safety and transport productivity has been made possible by today’s agreement amongst the nation’s transport ministers to overhaul and introduce fairer heavy vehicle charges," he said. Under the new regime recommended by the National Transport Commission (NTC), registration fees for 25 percent of the nation’s 365,000 heavy vehicles will be cut while the fees on 69 per cent of the fleet will rise by between one and ten percent. While larger increases are proposed for the six percent of heavy vehicles that are said to currently not pay their fair share, they will be phased-in over three years to minimise the impact on the industry. The component of the heavy vehicle charge collected by the Commonwealth from fuel used by trucks and buses – the Road User Charge – will be increased by 1.367 cents per litre and indexed to cover future road costs. After discussions with the industry, as well as state and territory transport ministers, it has been decided that the increase to the Road User Charge will take effect from 1 January 2009 – not 1 July 2008 as recommended by the NTC. "It is important that heavy vehicles pay their fair share of road construction costs as well as for the damage they do to the road network – a principle embraced by successive governments as well as the transport industry," minister Albanese said. "At present this is not happening.In December 2006, the Productivity Commission Inquiry into Road and Rail Infrastructure concluded the existing charges are insufficient and that the heaviest vehicles are not paying for the damage they cause while lighter trucks are paying too much. "The increase in the Road User Charge will ensure all heavy vehicles types pay their fair share and will have only a marginal impact on a vehicle’s operating costs. "I also note that the Charge has not been increased for seven years. "We have carefully considered the proposed changes taking into account industry and stakeholder feedback received during the consultation period that followed the release of the draft Regulation Impact Statement (RIS) last July. "While a 2010 national target of 5.6 deaths per 100,000 was agreed to by the previous government, the eventual figure is likely to be much higher with the current rate sitting at 7.7. The annual economic cost of road accidents – in terms of loss of life, injury and damage to public and private infrastructure – is estimated at $18 billion and rising," the minister said.